This page provides an overview of the A' Design Award certificates for winners and for those who participate in the A' Design Award Exhibition. 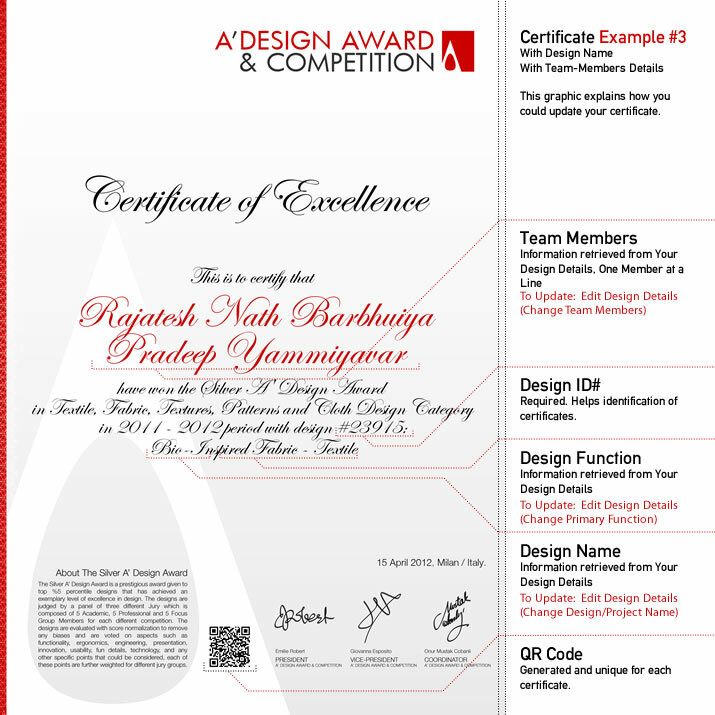 A' Design Award and Competition participants receive various certificates in several formats. Runner-ups receive an achievement certificate, non-winner participants recieve a certificate of participation, and winners receive two important certificates: Firstly, the certificate for winning the award, and secondly a certificate for physical exhibition participation. Winners' certificates are called the Certificate of Design Excellence and are printed both A4 size and a larger A3+ size version on special acid-free paper featuring signatures of the organizers, jury coordinator, and the award president. 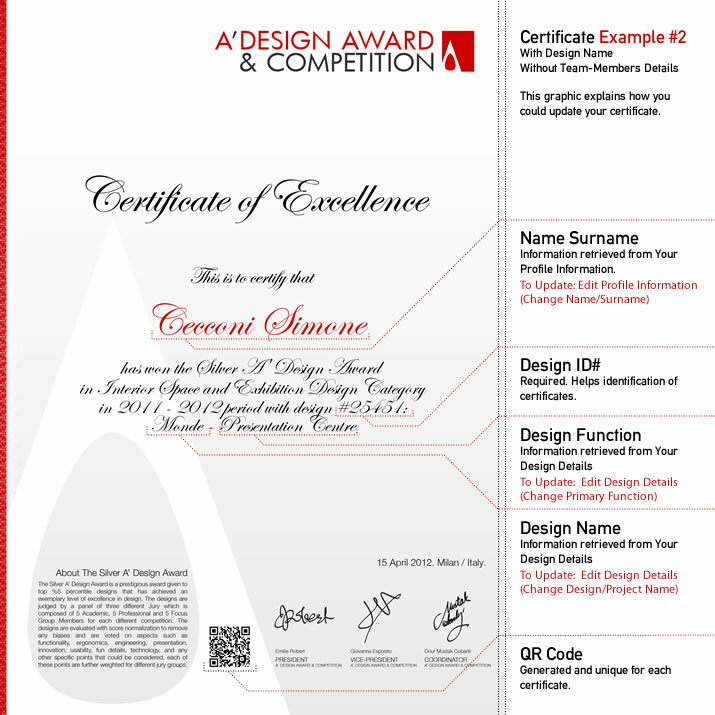 Furthermore, Award Winners' certificate features multiple information: the name of the designer, and team members, award category, the award level achieved, the date of award, and an informative note regarding the des,gn award itself. 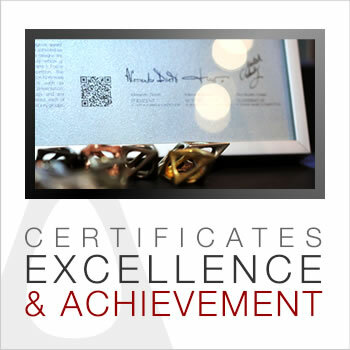 In addition, every award certificate features a special QR code, the QR Code is unique and linked to the profile of the award winning designer, thus A' Design Award certificates can be checked for genuinity by scanning the QR Code present on the certificate. Designers who attend the gala-night are given their A4 certificates within a metal frame and those who cannot attend could order a delivery, and the A3+ certificates are presented in roll-up form, usually included as a part of the winner kits. Many designers hang and place the framed award certificates in prominent locations in their offices or studios, to remind the success, victory and achievement of winning A' Design Competition. 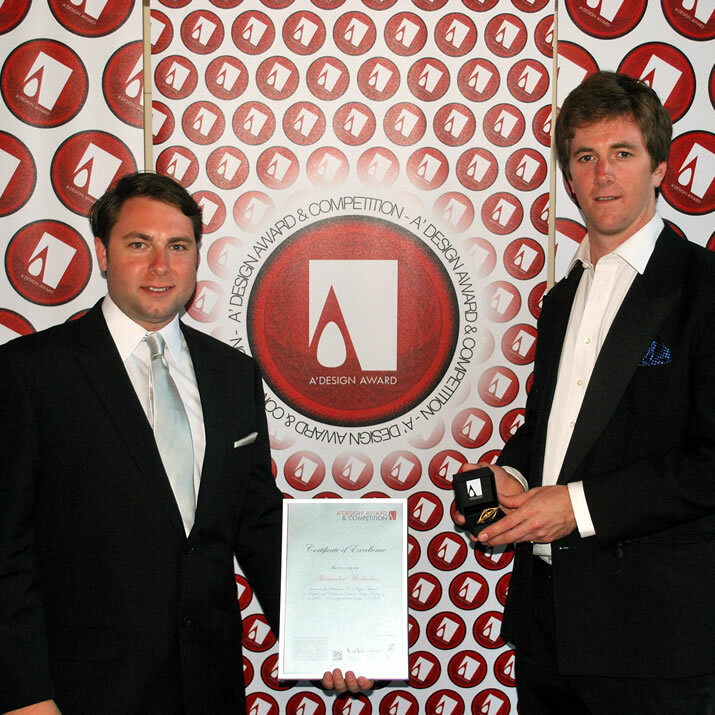 While A' Design Award do print and distribute the certificates, both Winners' and Exhibition certificates can also be directly downloaded from the A' Design Awards platform. Winner certificates have several options; with corporate name or without corporate name, with design name or without design name, with team-members' names or individual name. Shorty after the results announcement, the award winners could preview, modify or edit their certificates from their control panel or from the design award certificate management page. All A' Design Award winners get their works exhibited in the Mood - Museum of Outstanding Design, which changes location each year. To celebrate and remind this exhibition, a certificate is provided to all winners regardless of the type of work; since any and all works are exhibited through physical exhibition of prototypes, poster presentations for projects and video presentation of movies and display of interactive works. The exhibition certificate is provided to all winners whose works have been exhibited at the annual A' Design Award exhibition. The exhibition certificate features information such as the venue of the exhibition and the date of exhibition, furthermore designers' and winning works' details are included. Exhibition certificates can especially be useful to prove that your design has been exhibited, and in some cases might be required by participants' sponsors to provide exhibition participation fees coverage for shipment etc. 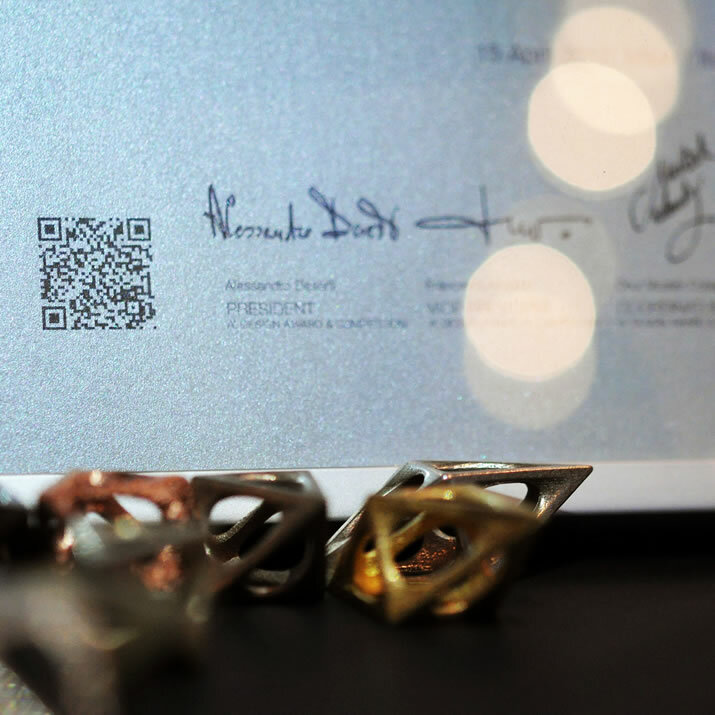 The Exhibition certificate can be also be very useful for academic participants since getting a physical exhibition of a design or artwork could count as an academic credit or achievement depending on your country and institution. 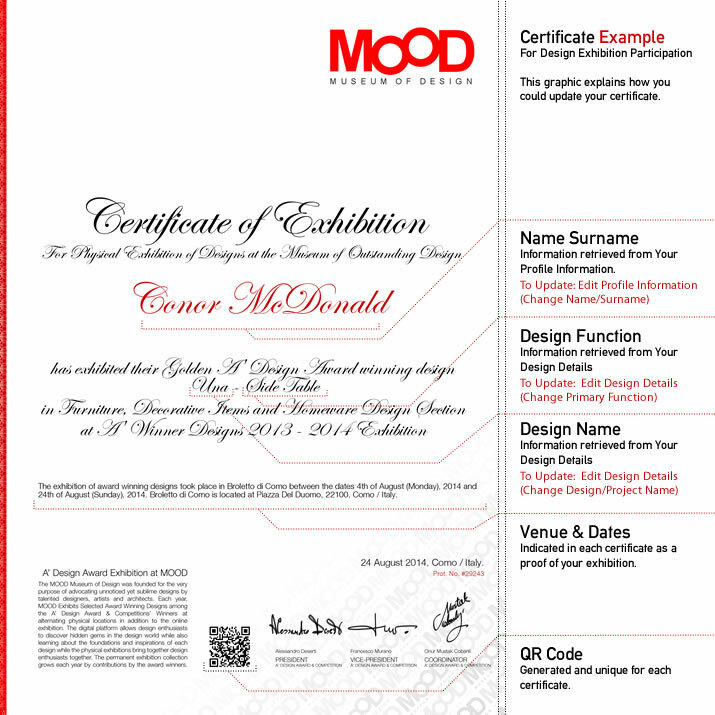 Award winners can download a proof of their physical exhibition certificate from exhibition details for winners page. 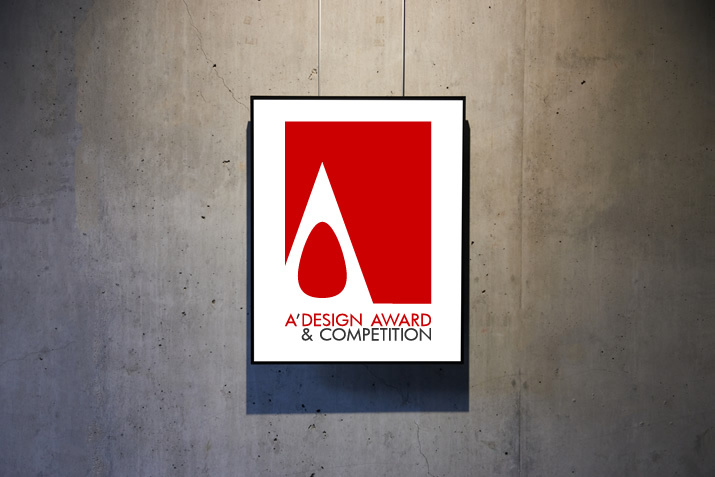 The A' Design Award & Competition award winner certificates - the design excellence certificates, and the exhibition certificates are highly useful for outstanding designers to communicate their excellent design skills and capabilities to their guests, prospective clients and audience. 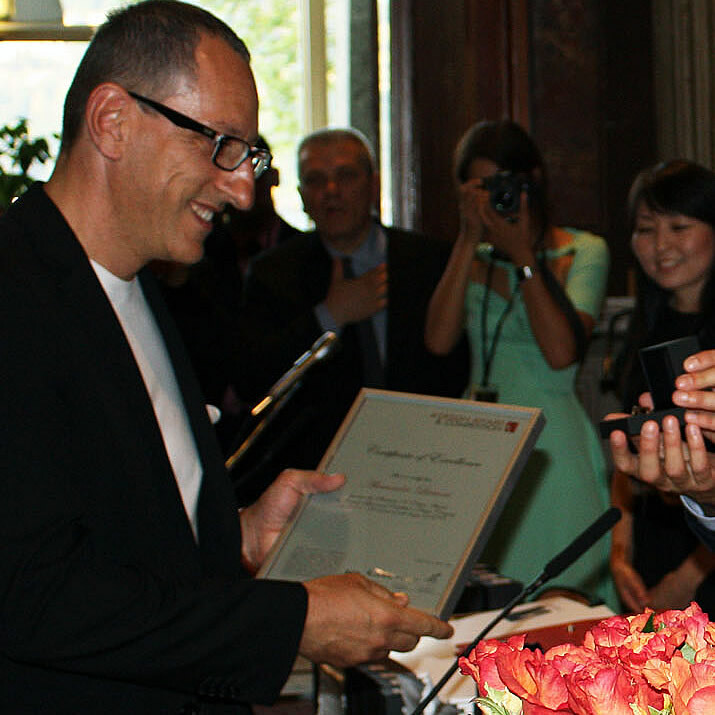 Award winners are given a lifetime license to use their award certificates, and the certificates could be incorporated to marketing colleteral for further effect. 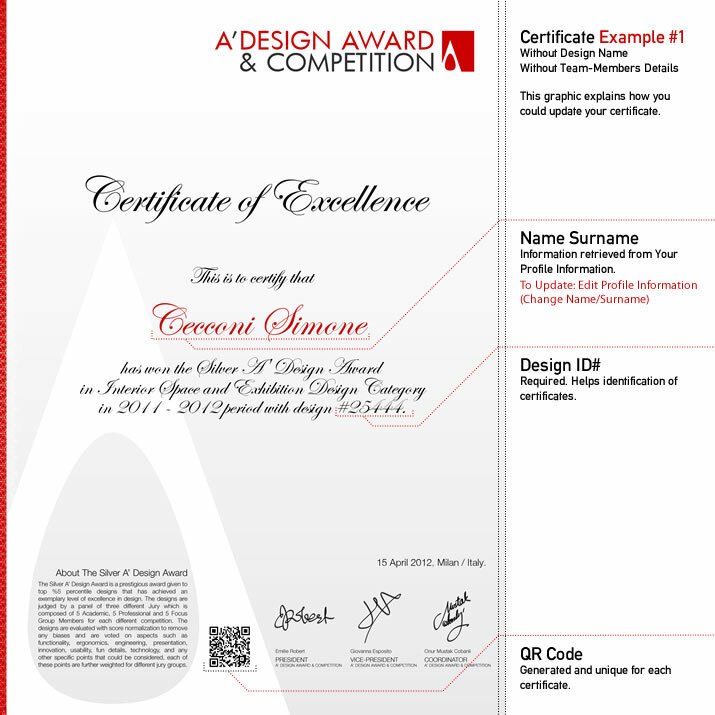 Award winners can use the winner certificates as well as the award winner logo to highlight their status of ascendancy over design. The A' Design Award & Competition Award Winner Certificate and the Exhibition Certificates are gifts, they are given free of charge to all design award winners, and the A' Design Award laureates are not required to pay any extras for obtaining the certificates, the certificates can be ordered for delivery or downloaded from the control panel of participants and the printed winner certificates will be distributed during the gala-night. Furthermore the Gala-Night invitation and the Exhibition participation is also free for participants who have nominated their works through professional entry method as a part of our no further fees policy. The A' Design Award laureates get two certificates; Design Excellence Certificate and Exhibition at Mood Certificate, in addition to the Design Award Winner Logo that could be integrated to marketing communications.